Being a German student in Norway means getting used to many new things. But one aspect I still did not get used to is the stunning nature. A fact I once more discovered on my hiking up to the Patchellhytta in Stranda. After arriving in Volda in August, I started doing some hikes up to the mountains of the region — and really enjoyed the feeling of independency and freedom that you discover in the moment when you reach the top. 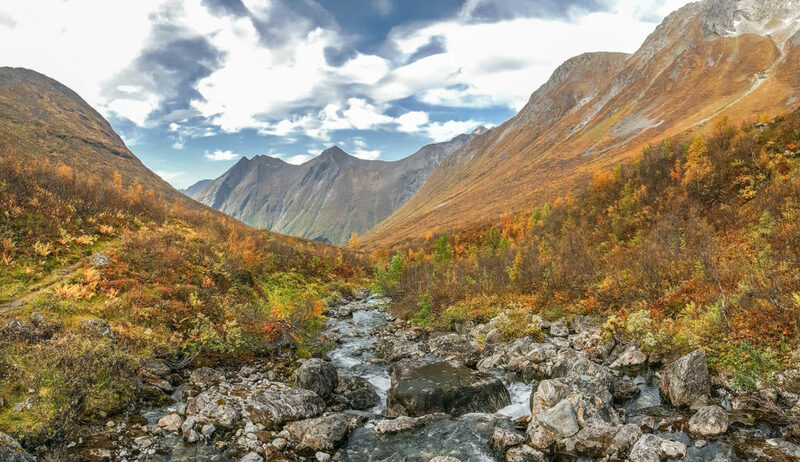 The hike up to the Patchell cabin in late September took that feeling to a new level. Together with a group of students, we started our hike in Urke and walked through a beautiful valley. The leaves of the trees had already started to adapt to the new season and shined in yellow, orange and red. We were lucky with the weather and could enjoy a warm and sunny day. After climbing up to the first plateau, we found ourselves in a completely different looking, but nevertheless similarly beautiful valley and continued our walk to the cabin. 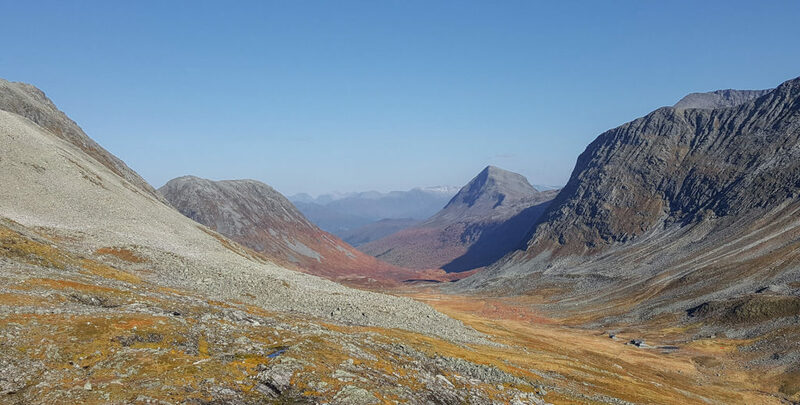 Climbing through fields of rocks and snow parts, we reached Patchellhytta after around three hours. We did however not want to rest for too long, but instead use the great day for a sunset-hike up to the mountain close to the cabin. We set off as a group eight guys, and made our way up to the top. After waiting and resting for half an hour, we could enjoy one of the greatest sunsets I have ever seen. The view over the valleys was breathtaking – and so was the way down. Finding your way through loose rocks without a flashlight is difficult and dangerous, so we were lucky when we were back at the cabin. Patchellhytta is a great place to stay: We sat down at the fireplace together and listened to each others stories. There was however no time to sleep — once I had walked outside in the night, I could not get my eyes off the sky. As we were so lucky with the weather, the view of the stars and the Milky Way was astoneshing and an absolutely new experience for me. I therefore decided to ditch the sleep and spend the time outside enjoying the atmoshere. We spent the next day shooting video for the course Outdoor Media Production and combined the shooting with hikes up to different points in the area of the cabin. It was a great day with many memories and experiences. 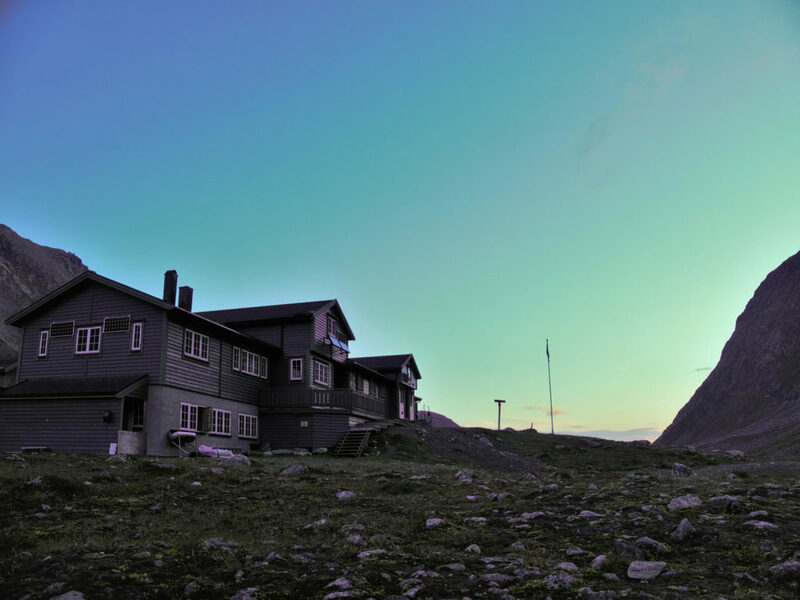 Hiking to the Patchellhytta and spending time in– and outside the cabin was one of my absolute highlights of my stay in Norway — and an experience I will not forget. The surroundings and the atmosphere are unique and incomparable and a definitive reason to go back up there. I am already looking forward!